This service offers advice on housing, benefits, immigration, domestic violence, health and discrimination. This service provides a visiting service in London Borough of Enfield by a team of paid staff and volunteers for up to 3 hours per week to people in need e.g. older people, people with mental health issues. 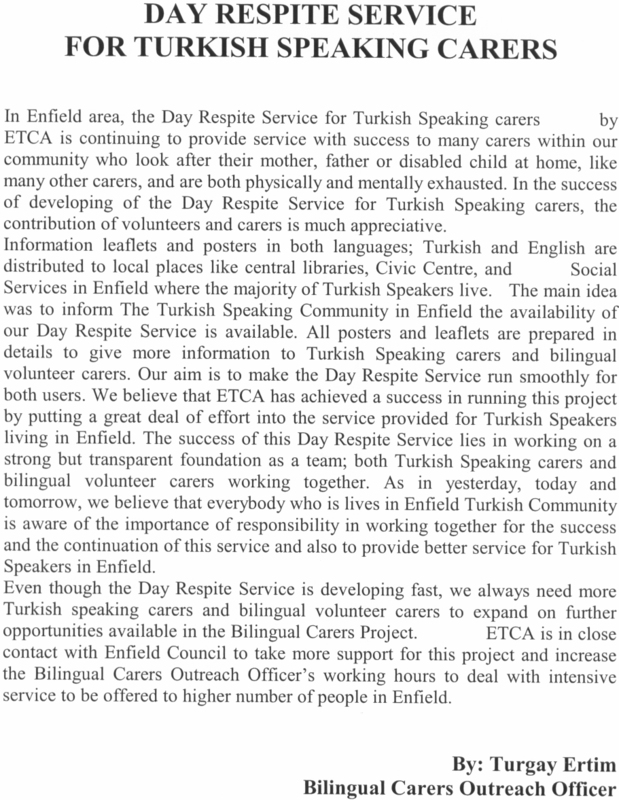 This service provides lunch in a social environment for older people from the Turkish speaking community in London Borough of Enfield, every Thursday from 12-3pm. This service provides support for parents with children under 5 in Edmonton Surestart years through a pre school group once a week that is open to wider community and 1:1 support. In partnership with Barnet College, this service offers English classes four times a week in the evenings and daytime a week. This service provides drug awareness through information, advice and support. This service provides help to people in the Turkish speaking community, who are housebound and need support e.g cooking, cleaning and administering medication. 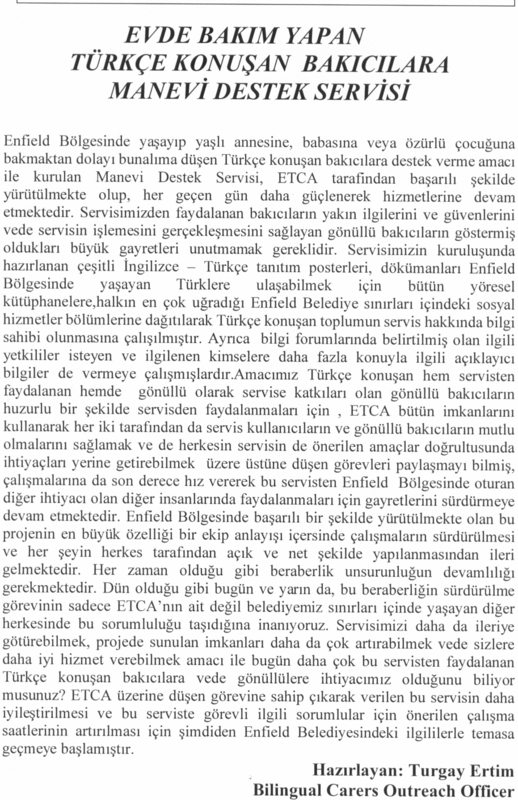 * ETCA MANEVİ DESTEK SERVİSİ hakkında daha fazla bilgi.